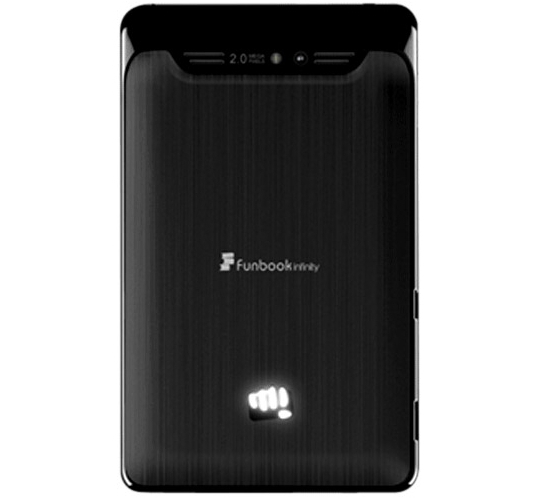 Indian mobile phone manufacturer Micromax now launched new tablet PC, named as Micromax Funbook P600. It is a 3G and voice calling enabled tablet and it now available in Indian online retailer stores for Rs. 9,499 INR. The dimension of the tablet is 119.5 x 193.5 x 11.5 mm and 310gm weight. It come with 7-Inch capacitive multi-touch screen and runs on Android v4.0.4 Ice Cream Sandwich operating system. 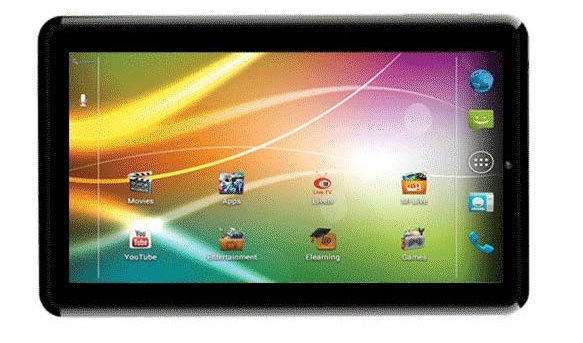 Funbook P600 tablet powered by a 1.0 GHz Qualcomm Snapdragon MSM8225A Dual-core processor and 512 MB RAM. For storage needs it has 2 GB of internal storage space and it expandable up to 32 GB via MicroSD card slot. For capturing needs it has dual cameras, 2.0 Megapixel rear facing camera and a low resolution front-facing camera for making video calls. The camera capable for quality video recording and image capturing. Funbook P600 tablet PC features connectivity options through 3G, Wi-Fi, USB 2.0, and 3.5 mm Audio jack. This tablet not equipped with Bluetooth, GPS, HDMI port. The tablet built-in with powerful Lithium Polymer rechargeable battery, It give up to 224-hrs stand-by time and up to 4-hrs browsing time.